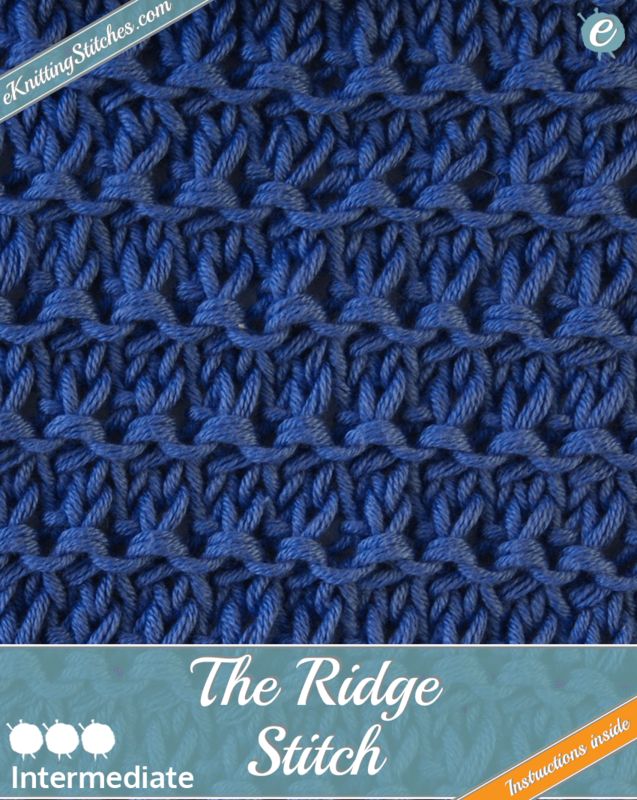 The Ridge Stitch produces horizontal ridges that stand out in strong relief against a stockinette stitch background. Cast on any multiple of two stitches for your project. The Birch Stitch is a very straight-forward stitch relies on just three Knit/Purl variations, used in consecutive rows. This stitch is a complete accident, generated by not paying attention whilst trying to knit the Trinity/Bramble Stitch whilst watching television at the same time! 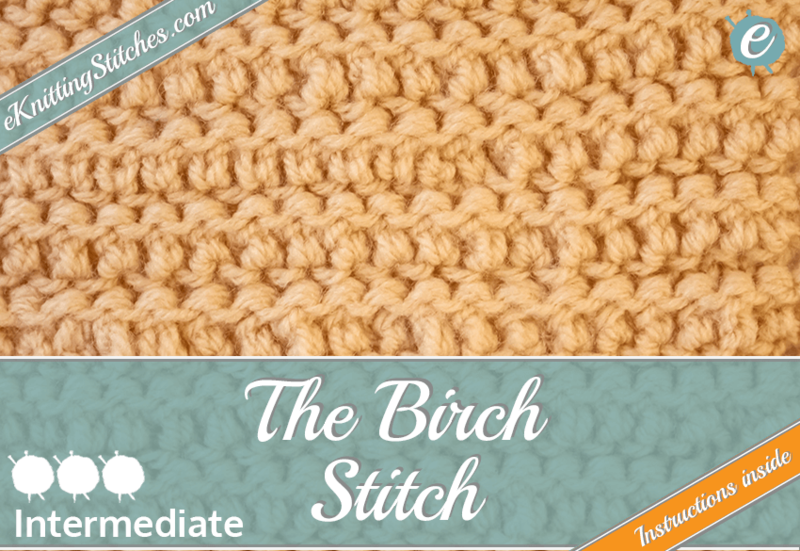 We named this, the Birch Stitch, although if anyone knows the real name for it then please let us know! Guess it's that time to get on with the instructions now! Cast on multiples of three stitches for your project. 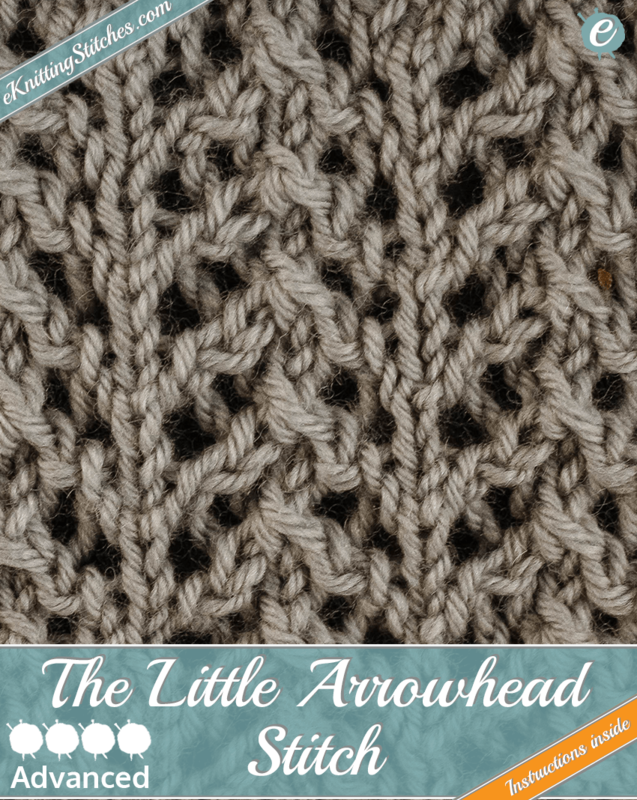 The Little Arrowhead Stitch uses Eyelet & Lace techniques to create a texture of repeating arrowheads. This stitch is an excellent choice for lightweight summer garments like shawls or shrugs, particularly when paired with a less elastic yarn like cotton to create a chic draping effect. This is quite a short and straightforward pattern, but don't let that fool you into complacency, there are a couple of tricky advanced techniques in there, so make sure you fully understand them before you start. 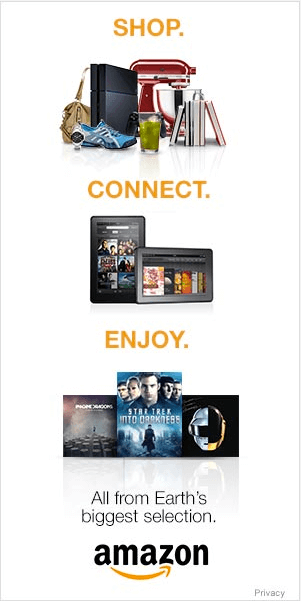 Cast on any multiple of six stitches plus one for your project. 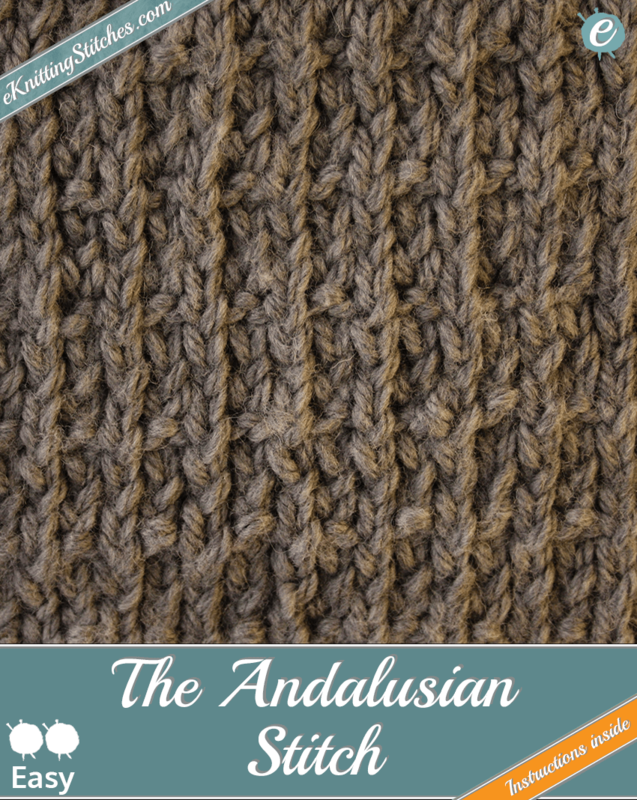 The Andalusian Stitch takes the humble Stockinette Stitch and with just a little tweek of the Knit & Purl creates a subtle, yet beautiful texture. The stitch itself is very much based on the stockinette pattern, but with every third row of what would typically be knit stitches replaced by a row of ribbing. This deft change helps break up the uniformness of the plain old stockinette stitch and creates a subtle grid-like texture to the fabric. The great thing about this pattern is that it is still so simple, after a few four-row repeats you will find yourself on autopilot with the garment almost knitting itself. Cast on multiples of two stitches for your project. 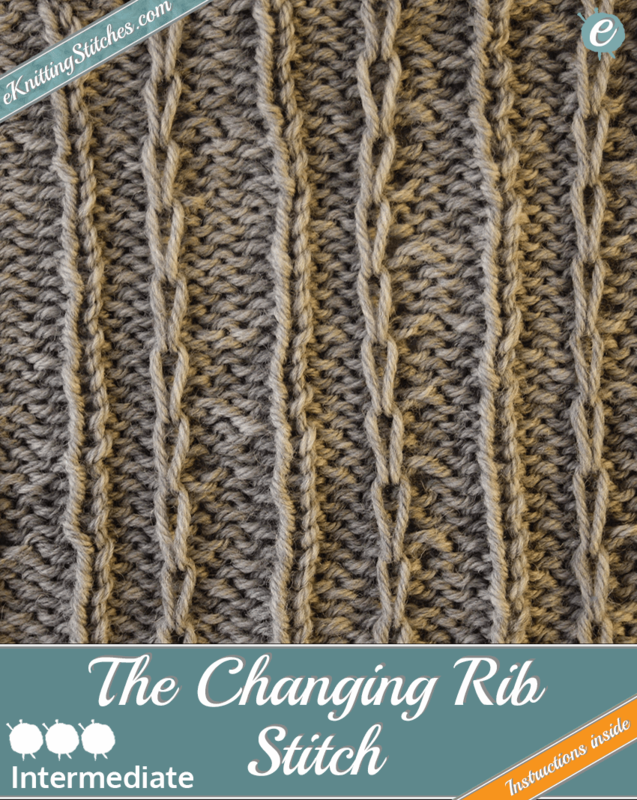 The Changing Rib Stitch is a pretty Rib Stitch variation on 1x3 Ribbing. The stitch is suitable for an all-over pattern or for selective rib trimming, such as around collars and cuffs. Cast on in multiples of eight stitches for your project.